Why are we in teaching and learning if not to be able to help enrich the lives of our students? Educational institutions at all levels, and of all types, should continue to strive for social change in today’s world. Beyond the apparent simplicity of our conference theme, however, there is great scope for wide-ranging responses to the question of just how we go about educating for change, by examining the inherent challenges and responsibilities faced by educators the world over. 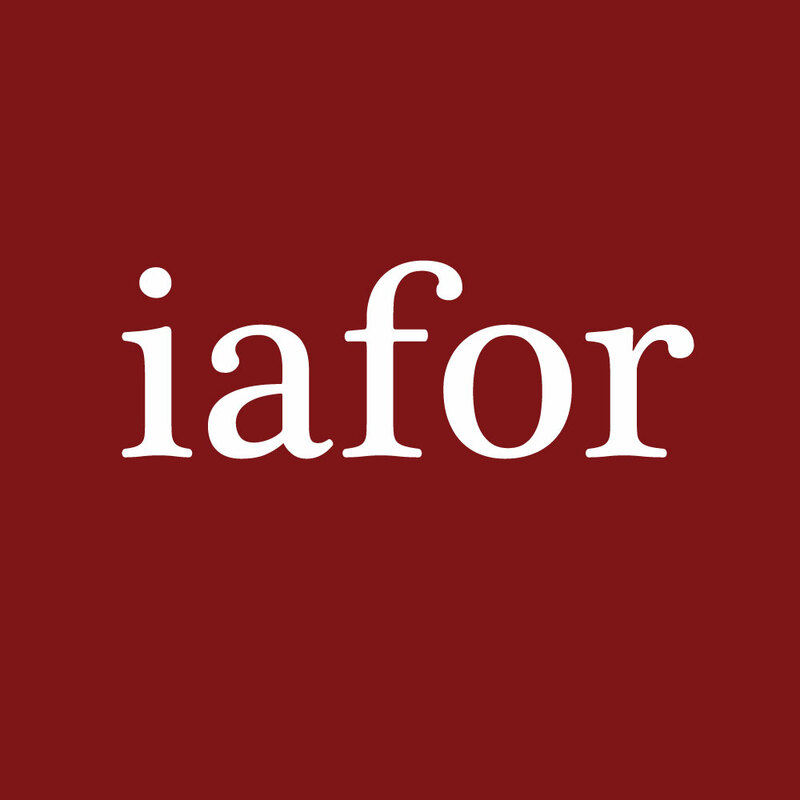 This conference, part of IAFOR’s global conference series on education in its broadest sense, brings together teachers, researchers and distinguished professors from around the world to share their insights. The goal is to broaden awareness of different contexts in the pursuit of synergies and solutions. There have been some major changes in academic writing education since its official introduction in the 1950s. One of the changes relates to student needs. When academic writing education was introduced in the United States, it was targeted at students who were “underprepared” and lacked competent English skills in academic writing. Thus the primary objective of this education was to teach those students how to write well in English. However, nowadays more and more students, especially graduate students, enroll in writing courses not because they lack the language skills, but because they want to learn how to clarify and support their central research idea in a research paper so that the paper can pass the review for publication. To help the students develop clear and convincing ideas in their writing, it is necessary to incorporate logical thinking training into academic writing education. In my talk, I will explain how this new writing education has been implemented at Nagoya University since 2010. It is important that educators continue to adapt and develop new approaches that create equal opportunities for productive educational experiences for all students. One key way in which we can accomplish this goal is through collaborative mentoring and research with undergraduate students. The work these students do with faculty will provide them with the tools they need to be successful after graduation. The sciences (biology, chemistry or physics) have already had success in creating research programmes for students. Yet, many outside of these traditional sciences (i.e. Humanities, Fine Arts, or Social Sciences) may not fully grasp how they can incorporate students into their own research projects and what it means to work with undergraduates in their scholarship. Therefore, this presentation explores how faculty can include students in our research, help dissipate some of the commonly held myths about undergraduate students in research, and discover the benefits of this work for students as they look toward life after they leave university and college campuses. Data archives increasingly represent an open resource for teachers, students and research to support the creation of new knowledge, generate original research, and validate or challenge existing paradigms. For the student, valuable time is often lost performing primary data collection when an acceptable study already exists in the public domain. For teachers, the ability to employ well managed and validated data in classroom instruction allows the educators to focus on the science and methodologies related to the class theme rather than invest time and resources in basic data collection and cleaning. For the researcher, the literally thousands of freely available data sets allow them to increase research productivity and to test hypotheses within a controlled data environment. This presentation will review the wealth of research data available to the research community and offer insights into how to employ these data in developing an independent research career. The presentation will discuss open source data that can be obtained directly from data repositories, how to obtain restricted data with minimal barriers, and how data sharing can help them build their own community of researchers and collaborators. With the tremendous growth of publicly available data resources worldwide, our ability to generate knowledge and information useful for research, policy development and advocacy are increasingly limited only by our imagination and our willingness to exploit the research opportunities these data represent. This presentation will offer students, teachers and researchers an overview of these resources and how to best use them for productive research. In the last 15 years in the Australian higher education sector, international student enrolments have grown from close to 100,000 in 2002 to over 300,000 in 2017, with the majority of these students from mainland China. In parallel with this growth, the Australian higher education sector has focused on Graduate Attributes (GA). GA have been defined as core abilities and values that are needed both socially and professionally, and that are developed in students during their studies and experiences in higher education. GA are also used to inform curriculum and learning outcomes. GA have been expressed as belonging to a 2020 vision for Australian higher education whereby the system produces graduates with not only the requisite knowledge and skills but also the understandings, capability or attributes permitting the individual to think flexibly or act intelligently in intercultural situations. Currently 12 Australian universities include GA that encompass statements on cultural competence and the ability of graduates to engage with diverse cultural and Indigenous perspectives in both global and local settings. But what is meant by cultural competence and what are the implications for teaching, learning and leadership? This presentation will unpack cultural competence within the higher education context, identify the challenges faced not only by students but academics and leadership, and suggest ways in which cultural competence can be meaningfully engaged and applied. This presentation will explore a collaborative teaching initiative that uses oral history as a means of educating for change by challenging traditional institutional structures of knowledge creation and by inspiring students to be active and engaged learners. I am a faculty partner in a cross-disciplinary undergraduate teaching project at the University of Toronto Scarborough, that offers courses that combine official (campus) and unofficial (community) sites of teaching and learning. Since 2013 we have offered courses in partnership with various NGO’s in the neighbouring community, a part of Toronto often negatively portrayed in popular media discourse. The goal of the teaching initiative is to provide student researchers with the opportunity to engage with both campus and community members in retelling the story of Scarborough from within. While oral history is not a new method, our students experienced it as radical practice that allowed inclusive dialogue, self-reflection, and reconstruction of dominant narratives. The process created a space beyond the classroom to give voice to community members often not included in official records. As one student noted, this form of “community-based research gives voice to those who are rarely heard, but have the most telling social commentaries to offer… I plan to reach out and hear more voices because I have grown a stronger passion for listening.” This presentation will explore the transformational impact on students of listening and interpreting, an example of a pedagogical practice that encourages education for change. Improving health equity at the community level requires a culturally competent teaching pedagogy. Conveying messages in ways that translate knowledge into practice is one step, but of equal importance is building the correct partnerships to engage the community and assist them in the incorporation of new behaviors into existing social structures. The National Center for Pacific Islander Wellness (NCPIW) located at the University of Michigan is developing teaching tools and educational forums to address nutritional concerns associated with the high rates of chronic obesity seen among Pacific Islanders in the United States in across the independent countries that make up the Pacific. While the problems associated with obesity among Pacific Islanders are well established; poor nutrition, lack of activity, depression and lack of preventative medical care, attempts to address these issues through health education have been largely unsuccessful. The outcomes of these failed interventions include increased morbidity and mortality due to heart disease, hypertension, diabetes and cancer as well as growing problems with disability. This presentation will report on new approaches to community engagement initiated by the NCPIW which presents nutritional and health education in a presentation format that is culturally relevant to Pacific Islander families and communities. The approach benefits from partnerships with local Pacific Islander Faith-Based-Communities who can regulate and influence individual behaviours due to the social importance of religiosity among Pacific Islanders. The presentation will summarise recent findings and provide guidance as to how this approach can be applied to other multicultural communities facing health challenges. The historically unassailable position of the native speaker (NS) as language teacher has been challenged in mainstream scholarship about foreign language education. The non-native speaking (NNS) teacher is now recognized to possess a number of important attributes that their NS counterpart often lacks. Also, in the case of English, the number of non-native speakers of the language far outnumber native speakers. This fact alone casts doubt on the value of preparing learners to interact by default with NS interlocutors. Nonetheless, present research into the role of the NS and NNS teacher suggests an ongoing preference for the NS as language teacher, particularly as a representative of the target culture as well as in conversation practice. Indeed, the (often untrained) NS teacher remains a staple of English education in East Asia. The research presented here adds to the scholarly conversation regarding the relative value of NS and NNS teachers. In this presentation, I will discuss how my own multi-year ethnographic fieldwork examining ground-level practices of English education in Japan and Taiwan indicates that the untrained NS teacher may be even less valuable than is commonly assumed. Specifically, lacking appropriate training in linguistics, language acquisition theory, educational psychology, and critical pedagogy, these individuals often subscribe to folk-beliefs associated with foreign language education. Their perceived authority as NS lends credence to such beliefs, strongly reinscribing misconceptions about the nature of culture, language, and language learning. Since the untrained NS is so common in East Asia, this project has critical implications for this context. In the past two decades, Taiwanese education has experienced drastic changes due to the transformation from dictatorship to democracy. As a key component of education reform, school leadership requires more attention, especially in local Taiwanese context. Internationally, the importance of leadership on improving school effectiveness and student performance is widely acknowledged (Day et al., 2011). However, there is not much research literature exploring the professional development in fostering educational professionals’ leadership capacity in leading curriculum changes. This paper aims at presenting a case study of a three-year continuing professional development (CPD) program for educational professionals in Taiwanese secondary schools with a specific focus on curriculum leadership. This CPD program is a sequential professional development program to develop curriculum leadership among educational professionals in secondary schools in Taiwan. In this paper, some questions will be explained and discussed: Why is this CPD program developed? What are the designing principles and key components of this CPD program and who are the targeting participants? How is this CPD program implemented? What are the implications after evaluating this CPD program? Data are from documents including meeting minutes of program developers and course materials, interviews transcripts of participants, lesson observations done by the researcher and questionnaires to participants to gain their feedback. The case study can provide international readers who are interested in CPD and curriculum leadership in secondary schools with insights on the design, implementation and reflection of an existing program. Dr Charles Allen Brown is currently an associate professor in the Research Faculty of International Media, Communication, and Tourism Studies at Hokkaido University, Japan. Born in Delaware, Ohio, USA, Dr Brown was educated at the Ohio State University, USA, and graduated with a BA in Anthropology and a BS in English Education. Dr Brown then taught English to refugees in the United States for two years and served for three years as a participant in the Japan Exchange and Teaching Programme in Ibaraki Prefecture, Japan prior to earning an MA in Applied Linguistics/TEFL/TESL at Pennsylvania State University. Afterward, Dr Brown served for five years as a lecturer at National Chiayi University, Taiwan. Dr Brown subsequently earned a PhD in Educational Policy and Leadership from the Ohio State University. His research concerns lived experiences with and beliefs about the institution of English education among students and teachers in East Asia. Dr Jack Frawley is currently Academic Leader at the National Centre for Cultural Competence at the University of Sydney, Australia. He has a national profile as researcher and writer in the areas of leadership and intercultural studies evidenced by his involvement in significant research and professional projects, book chapters, refereed articles and other publications. Dr Frawley has presented at several national and international conferences and continues to publish on, and participate in, intercultural-related research projects, professional programmes and consultancies. He holds adjunct appointments at the University of Canberra and the Batchelor Institute. Connie Guberman is an Associate Professor, Teaching, at the University of Toronto Scarborough, Canada. She is Program Director for Women's & Gender Studies, and was the Associate Chair, Teaching & Learning, in the Department of Historical and Cultural Studies. Her research interests include transformational and community-based learning, oral history, the transition from high school to university, designing safer spaces for women, and the impact of violence on learning.